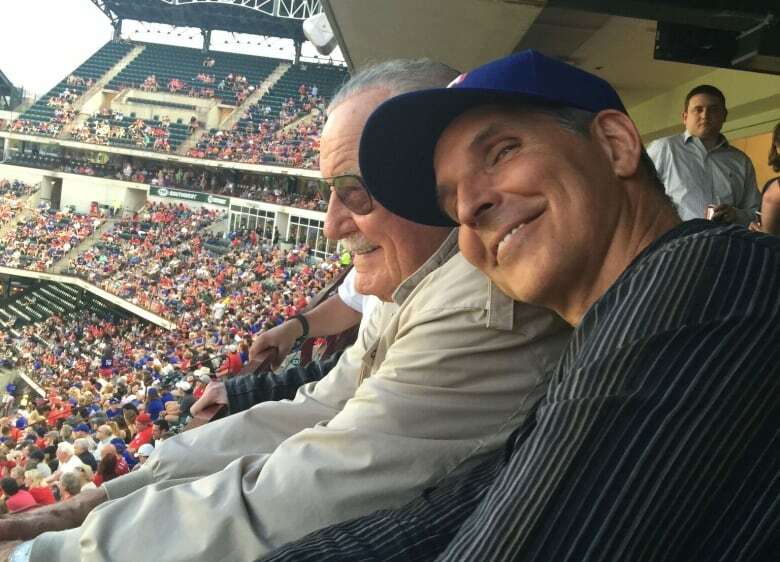 The word “giant” just isn’t big enough to encapsulate what Stan Lee meant to the world of comics, says Canadian comics creator Todd McFarlane. Lee, who helped create a cavalcade Marvel Comics superheroes that have become household names around the world, has died at the age of 95. McFarlane, the Calgary-born writer who created the Spawn series and has written several Spider-Man comics, spoke to As It Happens host Carol Off about his longtime friend and mentor. Here is part of their conversation. How did you come to meet Stan Lee? The first time I met him, I’m 16 and I’m a Canadian kid hanging out in Florida on a little vacation playing some baseball and I happened to be at a hotel that had a little comic convention going. Lo and behold, there’s Stan Lee sitting in the hallway. I was collecting comic books, becoming quickly obsessed with them. His name was on every single book. And I sat with him for seven hours. Later on I met him more formally because, you know, I’d broken into Marvel comic books and I was doing Spider-Man and all of a sudden there our paths would cross and then we started doing a few goofy things together and we became friends and then the bond just sort of grew over the past few decades. Did he know you were that that kid who had connected with him years ago? Of course he doesn’t remember, and I’ve told him that story, because it had an impact on me. I’m lucky enough to have a career myself, and we get to sort of pay it forward, and hopefully we’re all continuing to inspire the next generation. I mean, you list them, right? The magnitude of what he created, the volume that he created is unmatched on such a global level. It now has spawned across an entire globe. His characters have now reached every corner of the globe. He was obviously not the only one creating these superheroes, but some have said that what was different about Stan Lee is that these people had personalities, they had some human frailties to them, there was some edge that lets you get into the character differently. Is that what you found? When I talked to Stan privately, he admitted — which I think should be inspirational to anybody who wants to create — that even when he was creating all these characters, he still had his doubts about them. He was putting ideas out there and hoping that some of them would stick. And to his good fortune, to the good fortune really of all of us, really, who are in geekdom, the vast majority of them stuck. Stan was 95 when he died and I know you stayed friends with him over all those years. But there were concerns about his health, there were lawsuits, people coming after him and all kinds of ways. How was it when you saw him last? What I saw was a 95-year-old man. And the reason that that statement is shocking to some of us that were close to him is because for so long, almost up to age 94, he acted like he was 30-40 years younger. I mean, he had an energy level and a vibrancy that was almost unparalleled for somebody his age. He was still a superhero. If you saw him interact with other people, if you saw how gracious he was and then you could spend time with him away from those people, and that it wasn’t an act. You saw that it was genuine. For me, that was his greatest skill. Written by Sheena Goodyear. Produced by Imogen Birchard. Q&A has been edited for length and clarity.